Arts Council Napa Valley | 25 Arts in April Spotlight Events Announced! 25 Arts in April Spotlight Events Announced! We are excited to announce that we have over 75 events already planned for Arts in April 2016! And for the first time a special jury has selected 25 to highlight the essence of Napa Valley Arts in April. Thank you to these and all the artists and event producers for turning April into a month of inspiration for our community and visitors from around the world! Heritage Eats, Napa's new globally inspired, fast-fine eatery and Vintage High School AP Studio Art students present a community art mural focused on the forward-thinking vision of Heritage Eats. The community art mural embodies a world-view and a larger purpose through carefully crafted acrylic designs. Jessup Cellars in Yountville welcomes back producer, music journalist, and author Heather Jacks for a month-long exhibit of photography for her upcoming multi-media book Buskloose, 10 a.m. - 5:30 p.m. Shot by photographers Mike Gibbons and Benjamin Benoit, the book showcases a historical review of busking in the Bay Area. Photographer Robb McDonough will be showing his ongoing "Napa County Project" as well as a preview to "The California Counties Project" at the new Olabisi Tasting Room located downtown Calistoga. The opening reception is April 9 at 5:30 p.m. 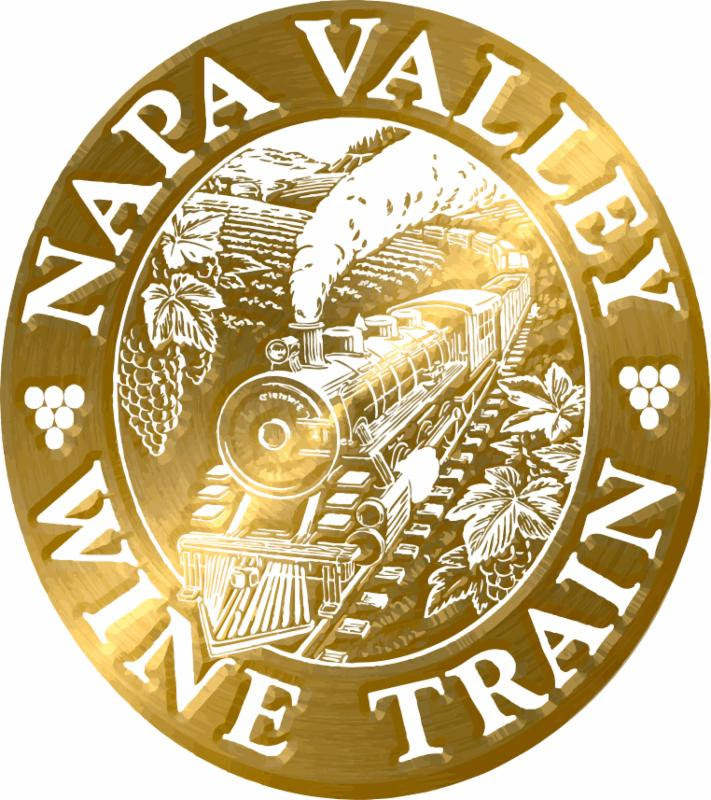 Enjoy live music with local artists alongside a month long preview exhibition of all that Arts in April has to offer at the Wine Train Station in Napa every Friday evening in April from 5 - 7 p.m. Small bites will be available along with wine tastings for purchase, as well as wines by the bottle in the Wine Train's Wine Store. Corkage will be waived for the event. Robert Mondavi Winery will offer a complimentary tour of the winery's permanent collection of sculptures by Beniamino Bufano and the rotating exhibition of Napa Valley-based Bonick artistic family "Generate: One Family's Painting, Photography and Music" in the famous Vineyard Room. Wine tasting is included. The 11 a.m. tour is limited to 15 guests and advanced reservations are recommended. Please call (800) 766-6328, option 2, for reservations. Artist Topher Delaney has guest -curated an outdoor exhibition of 30 unique "terroir inspired" chairs. The inspiration for each chair is a personal, imaginative, and aesthetic response to the characteristics of St. Supéry's unique terroir and vineyards. An indoor exhibition of drawings, photographs, and paintings about each chair accompany the exterior exhibition. In conjunction with the exhibition "Radical Landscapes," artist Amanda Eicher will present a sensory tasting experience from 4 - 6 p.m. at diRosa in Napa. Eicher's socially based practice engages audiences' palates to explore how climate change might impact local agricultural practices and the taste of food and wine. The Room celebrates the relationship between art and nature all through April, culminating with an Earth Day celebration on April 22. The event premieres April 2 with the Baker Sister's "Jungle Imagery" that will embellish the exterior of the tasting room. Proceeds to benefit the Cheetah Conservation Fund. Visit Beringer Vineyards for an all-access tour of the exquisite Rhine House stained glass windows 11 a.m. - noon. Built in 1884, the Rhine House's ornate glass panels feature hand-painted jeweled boarders and exquisite roundels. The tour features all 41 historic windows. Take one creative artist, mix with a James Beard award winning pastry chef, and add Y Rousseau wines for the perfect recipe. Napa painter/printmaker Nancy Willis has enlisted the inspiring CIA chef Stephen Durfee to join her and eight "guest artists" for an afternoon of printmaking with desserts and chocolates to feed the creative spirit, 1:30 - 4:30 p.m. in Napa. Stroll through Peju's gardens and learn about the winery's varied terroir and their approach to winemaking and viticulture. After the garden tour, enjoy a complimentary tasting of their current release wines paired with a selection of local cheeses. Guests will create a floral arrangement to take home. The Arts Foundation will hold its 24th Annual Art Extravaganza at Jamieson Ranch Vineyards. This is a juried show, highlighting the works of artists throughout the North Bay. The guest artist event and reception is Saturday, April 9, 4 - 7 p.m. Explore the proposed Napa Valley Ruins & Gardens in American Canyon, planned to be the catalyst for an entire new visitor experience at the south end of the Napa Valley. The day include tours of the site, which has some of the most unique graffiti art in the North Bay, along with updates on the project and future plans. Take a step back into Napa's early history with this year's tour of Pope Valley's historic sites. This area is one of the first settled in Napa and is the site of beautifully preserved historic wineries, Aetna Township, at the intersection of the earliest mining claims in the valley, the Henry Haus Blacksmith Shop, and fabled resort Aetna Springs. A USO show is threatened with cancellation when a famous trio of singing sisters cannot perform, leaving the show in the hands three determined stagehands. The production includes 25 songs by the Andrews Sisters. The show is 8 - 10 p.m. This first ever "dinner on the driveway," begins at 5 p.m. in Napa and features ten literary adventures hungry for cuisine, conversation and reading aloud. Artists and audiences will co-mingle from 2 - 6 p.m. in St. Helena for a dynamic curated collection of never before seen projects, including live performances, open-mic sessions, installations, and more. 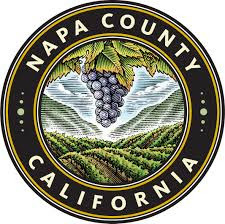 Highlights include theater directed by Jennifer King; poetry by Iris Dunkle; art by Jason Perry; and delicacies prepared by the Napa Valley Cooking School. The Napa Valley Youth Symphony features an evening of food, wine, and music with celebrated Spanish "maestro of guitar," Angel Romero, as guest performer who was knighted by the country of Spain for his extraordinary musical successes. Enjoy a stroll through scenic Yountville, viewing the variety of outdoor sculptures; artist's booths featuring painting, photography, sculpture, ceramics and more. A $20 tasting bracelet allows visitors to taste wines at tables along the way. 11 a.m. - 5 p.m.
Join the global celebration of Shakespeare's 400th Anniversary with NapaShakes, Napa Valley's premiere presenter of world-class professional Shakespeare. NapaShakes presents New York City's classical theater company: FIASCO, in its inventive and musical production of Cymbeline, hailed by the New York Times' Ben Brantley as "the most truly enchanting Cymbeline I've seen." This springtime festival and fundraiser celebrates the arts, music, movement and nature at Connolly Ranch in Napa. The evening begins at 5 p.m. and includes live music, dance, aerial and fire spinning performances, yoga and movement classes, recycled art and nature craft activities, food trucks, local wine, farm tours, moonlit nature hikes, telescope for stargazing, onsite childcare, and more. This opening reception of the exhibition, 4 - 6 p.m., highlights the work of Paul Kos, a leading figure of the Bay Area Conceptual art movement, through a number of site specific performances and art works produced at di Rosa between 1968 and 2000, as well as more recent works. Through film, photographic documentation, drawings, and sculptural elements, the exhibition reflects on Kos' lifelong interest in the natural landscape and his deep relationship to di Rosa as medium and muse. Visit the Markham Gallery and tasting room to celebrate the husband and wife installation that celebrates the enduring influence of southern Blues on contemporary music and the colorful abstraction of Psychedelic art. Meet the artists, Harold and Peggy Francis, and view their work while enjoying Markham wines, small bites and live music. 1 - 3 p.m.
April 23: Whitehall Lane Winery - Drink. Paint. Have Fun. Whitehall Lane Winery and Pinot's Palette are teaming up to allow guests to be an artist for the day. Two, two-hour classes will be offered at 11 a.m. and 1:30 p.m., which includes a flight of wines, charcuterie and the opportunity to take home your work of art. Take a peek into five premiere homes in the Napa Valley, each styled by notable designers and florists. With a focus on entertaining, statement kitchens, stunning art, and outdoor lifestyles, this year's self-guided tour delights patrons with an inspiring mix of both sleek and rustic elements. Meet local chefs and authors, and spend a spring day exploring wine country living. For a complete list of Napa Valley Arts in April activities, including lodging packages, visit www.visitnapavalley.com/artsinapril. Sign up for Arts in April Today! Final deadline to participate is March 17th.